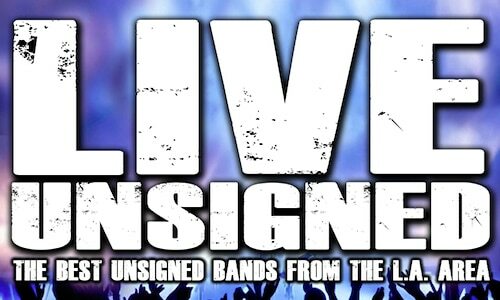 This Live Unsigned will feature some of the best local acts in the Ventura/LA area. The show will open with The Tourists who will be debuting new songs off their upcoming EP. Upcoming local rock group, Mrs. Gill will be making their Canyon Club debut performance with an energetic set. Three piece group Planet will be playing as well. 9 Planet 9 is an alternative rock trio based in Los Angeles California formed by lead vocalist and bassist, Alex Archon, Drummer Jordan Solomon, and guitarist Milan Zivkovic. Drawing a great influence from the energy of early Pearl Jam and hypnotic riffs of Black Sabbath, Planet 9 is a blend of post-grunge and classic rock creating a fresh new sound with hooky lyrics and rhythms. Hi u guys are awesome just found you on line.i would like to perform at your unsigned events.how can we do that,is it possible. We’re a young energetic band called JEXZI, from the i.e. were on Facebook and Instagram and all that.pls let us know if we can perform at your unsigned events..thank you for your time.